It’s a favourite of cinephiles and Freiluftkino lovers, even 30 years after its splashy Euro-art-house debut. Tucked among a list of festival darlings and this season’s roster of big-screen hits, it sticks out as the single film that is over three years old, lacking an A-list marquee star and mostly recorded in washed-out black and white. 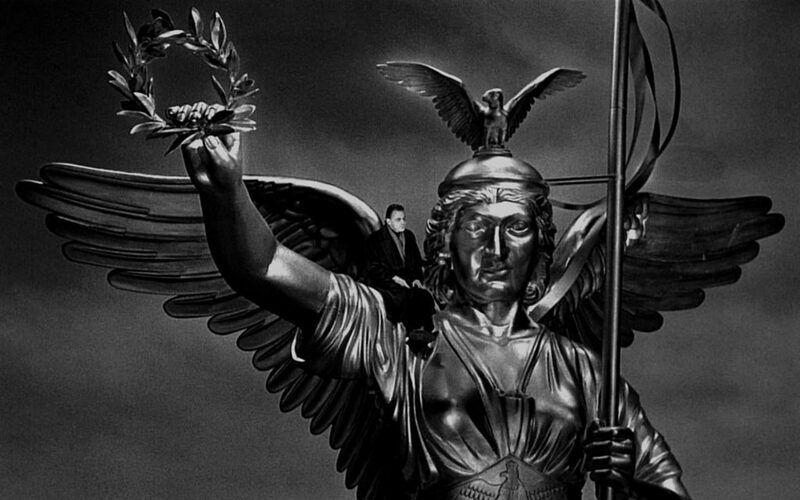 Yet there it is, Wim Wenders’ cinematic ode to humanity, Der Himmel über Berlin (Wings of Desire). Many fans of Wenders’ 1987 film are that specific brand of cinema geek who have earned the title of ‘fanatic’. 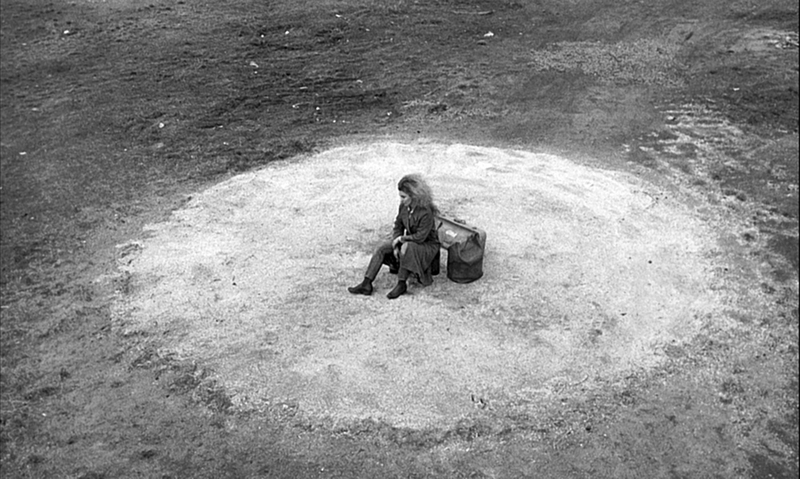 They call Wings of Desire a symphony, a parable, magic. The film follows two guardian angels, Damiel and Cassiel, immortal and invisible to the humans they observe. One such human, Marion, is a trapeze performer at the circus; Damiel finds himself falling in love with her and wishes to swap his immortality for an earthly life with her. Desperate to expand his understanding of the human experience in all its messy sensuality and unapologetic mortality, Damiel encounters Peter Falk (as himself, in a largely improvised performance), a fallen angel who also felt compelled to get in on the earthly action. As Berlin musical luminary Nick Cave plays a live show in a bar, Damiel’s yearning for humanhood finally reaches its apex. A complete bibliography of texts on Wings of Desire would fill pages upon pages with film studies-ready article titles, heavily sprinkled with terms such as ‘existentialist cinema’, ‘technology’ and ‘perception’, ‘the verbal and the visual’, ‘experience and memory’, ‘transcending postmodernism’. Their analyses explore every rapturous detail of Wings of Desire, with many steadfast in their conviction that this is a film that asks its viewers to fundamentally consider how they see themselves and the world. Its subtle play with the themes of borders, embodiment and sacrifice render themselves timeless, helping to answer the question of why and how a 30-year-old movie about a dissatisfied angel who falls for a graceful trapeze artist could have something to say to us about love, happiness, and the nature of humanity in the 21st century. The nature of anything made in Berlin is that it can’t help adding to the discourse about what Berlin is, was, and will be. Wings of Desire arrived at the tail-end of the New German Cinema years, which were already winding down in the early ‘80s. 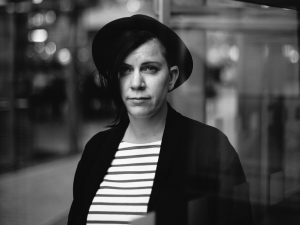 The director had been living in New York City for much of the decade, watching as Soho began its evolution from artist haunt to gentrification ground zero. His films of this period in the early and mid-‘80s were Americana film noir, tinged with nostalgia and sentimentalism. But a lack of commercial success left auteur directors like Wenders with little choice but to rely on subsidies for the financing of their projects, or to look further afield for low-budget options. The latter was the circumstance that led to the making of Wings of Desire. Not having released a film since Paris, Texas in 1984, Wenders’ production company, Road Movies, was stagnating and needed to generate a new flow of capital in order to push forward with other projects. Necessity breeds invention; Wenders started to consider alternatives. The Wim Wenders Foundation calls Wings of Desire the director’s “Heimkehr” – his homecoming, a reference to the fact that he had been in the US for eight years. 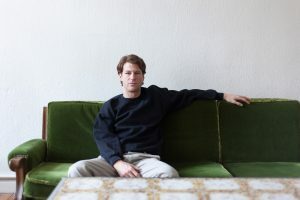 In a 1993 interview, Wenders admitted that the choice to film a movie in Berlin was spontaneous – a B-movie project on a limited budget without a fixed narrative structure or a finished script. But of all the places for a prodigal son to stage an unplanned homecoming, Berlin lent itself particularly well. The twilight years of the Cold War were casting their unflattering light on the city, a place emotionally and geographically abandoned, with grit to spare. 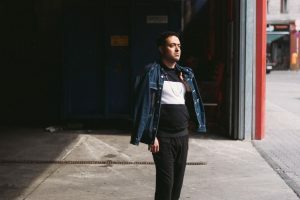 As a backdrop to the existential longing of Damiel, the guardian angel who yearns to become a man, Berlin is an “after-the-apocalypse city,” according to film critic Pauline Kael. She reviewed the film in 1988, writing that the environment’s “ugliness is almost abstract,” and chafing at the pace of the movie, which seems to force viewers into “experiencing the psychic craving of the Berliners as they drift through their days, searching to be whole again.” With the fall of the Wall awaiting in November 1989, we can now savour the irony of this search for completeness. Spontaneous shooting location or not, the city’s disaffection became another thematic red thread, providing a perfectly existentialist mise en scene for Damiel’s quest. Upon release, the movie was an immediate commercial and artistic success. Wenders was feted at the Cannes Film Festival that year, and awarded Best Director, which kicked off a string of nominations and wins on the awards circuit in Europe and, to a lesser extent, farther afield. He also returned to Berlin to shoot a post-reunification sequel to Wings of Desire in 1993 called Faraway, So Close! 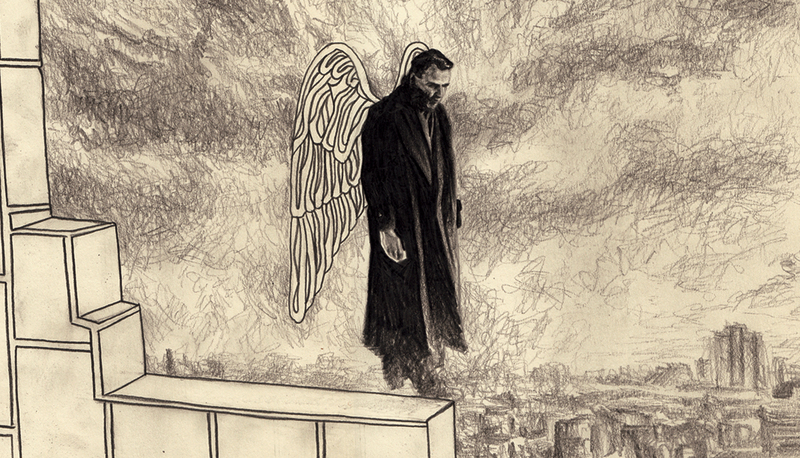 Wings of Desire is sometimes categorised as romantic fantasy, a modern fairy tale. The fascination with this elemental film lives on among German Studies scholars and cinephiles; Wenders was awarded an Honorary Golden Bear at the 2015 Berlinale for his impressive body of work, of which Wings of Desire remains a seminal achievement. For Berliners today, though, one of the film’s greatest attractions is its commentary on and visual archiving of Berlin immediately before the end of the Cold War. 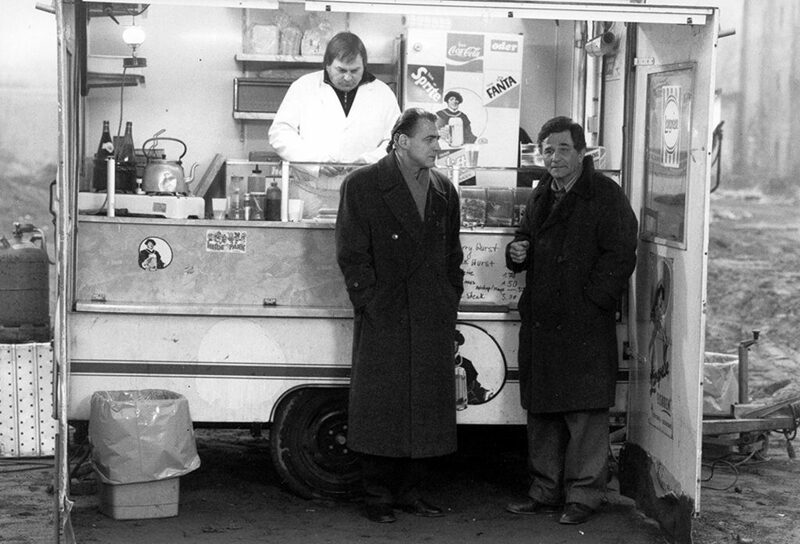 Berlin is the sum of its parts, and Wings of Desire is one of those parts. Potsdamer Platz’s reflective, glossy commercialism is nowhere to be found here; instead we see the forgotten wasteland that it was during the years of the Berlin Wall. Damiel’s journey to personhood was widely considered a political allegory for the reunification of East and West. As he yearns in the film for connection and belonging, so too did desperate Berliners yearn in reality for their city’s wounds to be healed. We now know how that reading simplified the feelings of Berliners; Wenders himself says openly that he thinks the city suffered badly during the first years of reunification. Still, perhaps the film owes some of its success to good timing – what could be more appealing to the intellectual art world elite of the ‘80s than a late-New-Wave sentimental fantasy set in the very city whose political dramatics had captured the attention of the world? But that can’t be the whole story. 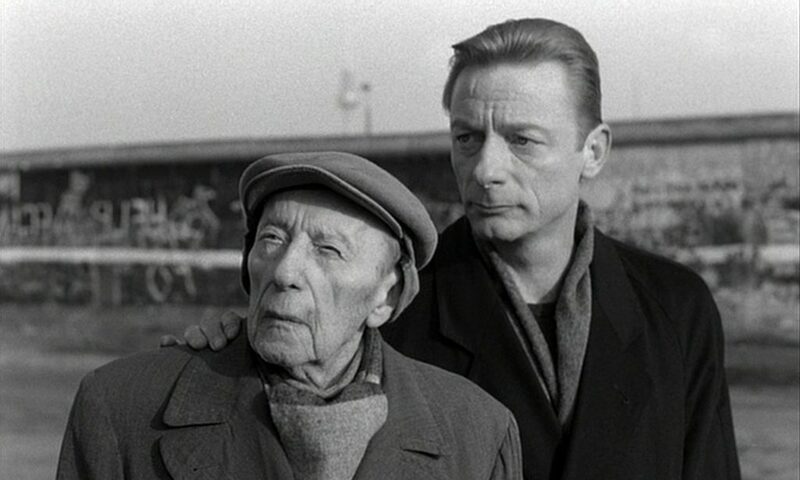 Wings of Desire also haunts simply because it is a beautiful film. Today, the film’s greyscale cinematography and lingering high-angle shots are a meditative escape from the overstimulation of popular entertainment. Whether watching its tender exploration of an imaginary Berlin at a Freiluftkino or elsewhere, it’s appealing to study the long, achromatic views of the city and hunt for traces of the Berlin we know today. The film’s guardian angels did the same, watching the city’s residents for clues to what it felt like to be a Berliner, to be human, complete with all our pleasures and miseries. 30 years later, the search continues. The specially restored 30 year anniversary version is screening in cinemas throughout Berlin.